Atlanta is expecting another “winter event.” After not preparing for the last bit of snow that came through, this time it seems we’re going to overreact. Schools were shut down today, even though it stayed above freezing all day, and the rain stopped by about noon. So today’s cancellations seemed pretty unnecessary, but tomorrow is in fact shaping up to be pretty nasty–ice and snow, and temperatures in the 20’s all day. Just about every school in the metro area (including colleges) will be closed, and I would guess they will be closed again on Thursday as well. That means whatever work I need to do over the next couple of days, I better be able to do from home. 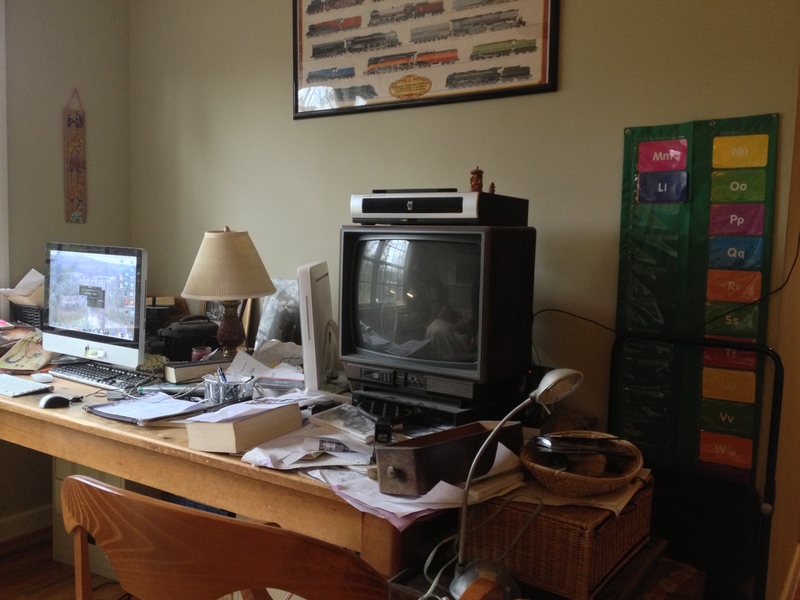 As I’ve mentioned before, we do have an office upstairs, but it is so cluttered with layers of daily life sediment that it really is not very inviting as a work space. So today’s task is another round of dedicating space in the house to a specific use and purpose. It was a pretty straight-forward plow-through. Lots of stuff went directly into recycling. Other things–books, toys, and various other possessions–found their way back to their proper places. I also had three garbage bags going–one for trash, one for stuff that needs to be donated, and one for various papers that need to be shredded. That last bag is something I will have to tackle in a major way soon. I have folders upon folders of papers squirreled away–healthcare notifications, bank statements, retirement statements, etc. I am not sure why I am hanging onto any of this stuff, since every record I will ever need is available electronically. So with the exception of tax-related material, anything that was within easy reach made it into the shred bag. Later, I’ll go for the big purge. 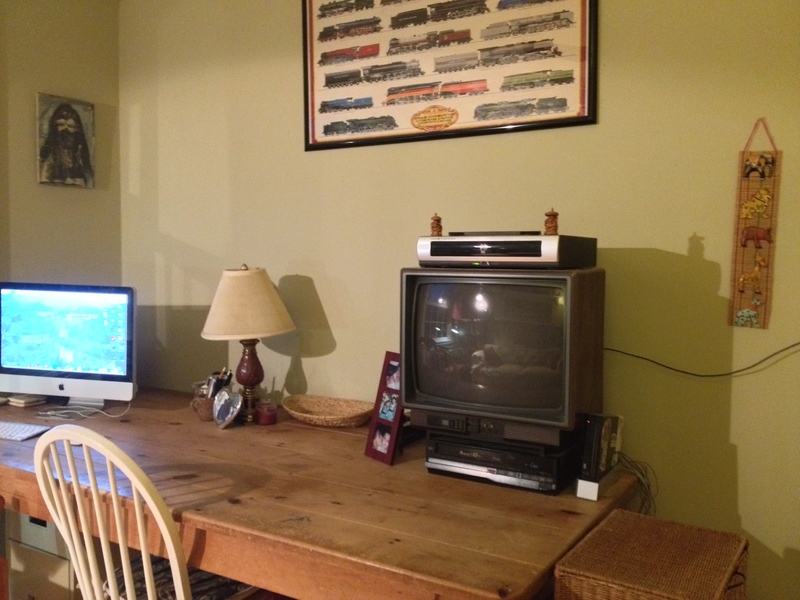 This entry was posted in Uncategorized and tagged clutter, home, organization, simplify, utility. Bookmark the permalink. What a great “after” photo! Your eight-year-old nails the reason and reward. Warm and safe wishes your way! Yup! Sitting here right now and thinking about how much easier it will be use use this space for work–and to keep work to this part of the house too. So far it’s not too bad in Atlanta–it changed over from snow to ice around 7am, but the trees don’t look bad at all.